Mexican drug cartels are shooting up the streets of Laredo and El Paso. Somali pirates are holding three U.S. tankers for ransom. 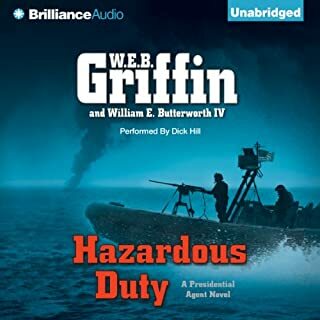 The President of the United States is fed up and, as Commander in Chief, has what he thinks is a pretty bright idea — to get hold of Colonel Charley Castillo and his merry band and get them on the case. Unfortunately, that will be difficult. Everybody knows that the President hates Castillo’s guts, and has just had him forcibly retired from the military, and now Castillo’s men are scattered far and wide, many of them in hiding. Upon returning to the states from a European jaunt, Stone Barrington makes the acquaintance of a stunning woman who seems like she could be an ideal candidate to meet some of his professional - and personal - needs. 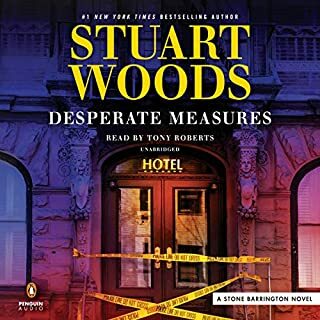 Before long, though, Stone is put to the task of protecting his new hire when New York City is rocked by a series of disturbing crimes, and it looks as if she might be the next target. Another excellent Stone Barrington story! Loved it! Excellent story. Well preformed. Can't wait for the next one. Enjoy the character. When a slam-bang of a crime brings a beautiful new client into Stone Barrington's office, little does he know his association with her will pull him into a far more serpentine mystery in the exclusive world of art. It's a business where a rare find could make a career - and a collection - and mistakes in judgment are costly. And under its genteel and high-minded veneer lurks an assortment of grifters and malfeasants eager to cash in on the game.